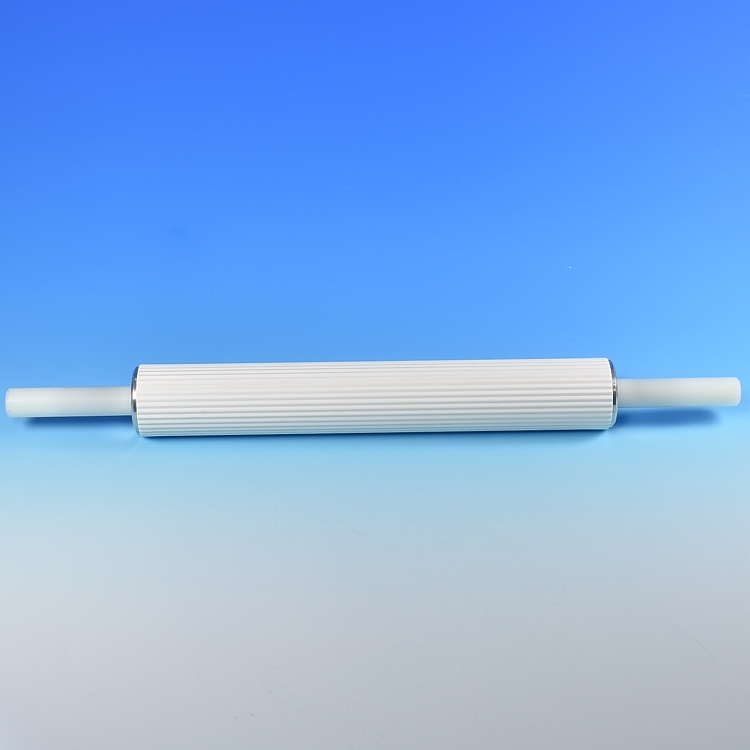 Specially designed professional Puff Pastry Rolling Pin, for rolling-out and laminating Puff Pastry, Danish and Croissant dough's. 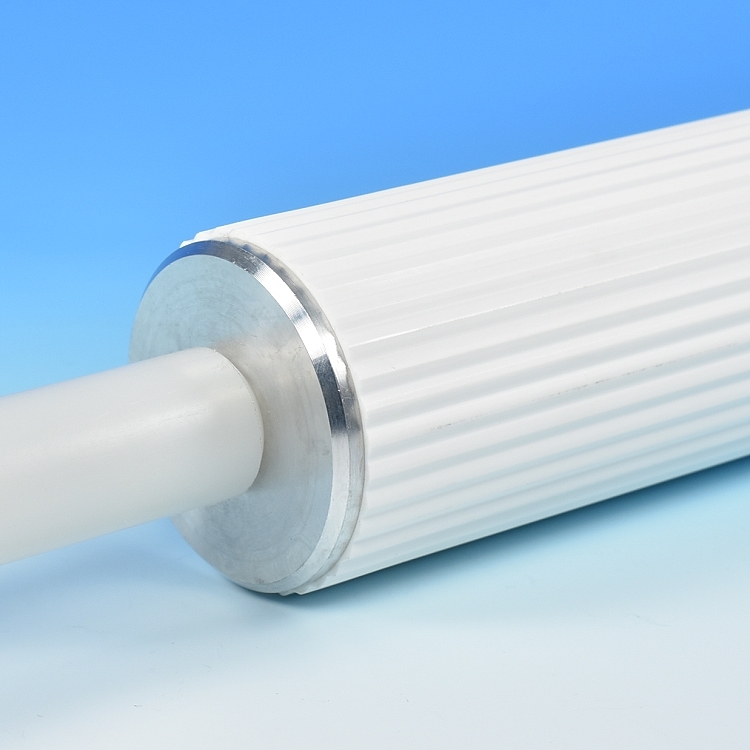 Ribbed surface is designed to facilitate the laminating processes of layering together butter and dough. Made of food grade plastic with nylon handles. 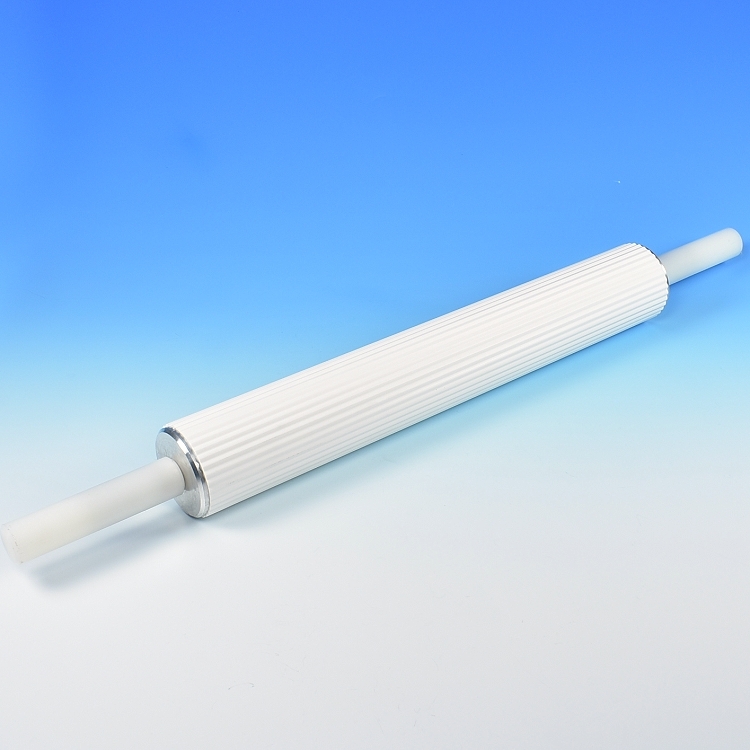 Rolling Pin surface length: 16", height 2 1/2"
Overall rolling pin length including handles: 24 1/2"